"White sand, blue sea, tropical island paradises"
The perfect combination along with an East African safari is a stopover at one of the region’s tropical island getaways. Here white sand beaches extend as far as the eye can see, palm leaves wave in the breeze and crystal-clearwater is ever-so inviting. The capital city, Zanzibar city is to the west of the island and the centre of it is known as Stone Town. Stone Town is a world heritage site full of great historic attractions. Many of the narrow old winding streets and tall townhouses have remained untouched and visitors can explore the atmospheric labyrinth alone or on guided tours. But by far the main attraction to Zanzibar are its world-class white sand, palm-fringed beaches. The east and northern coast of the island lined with many fine hotels and small accommodation venues. 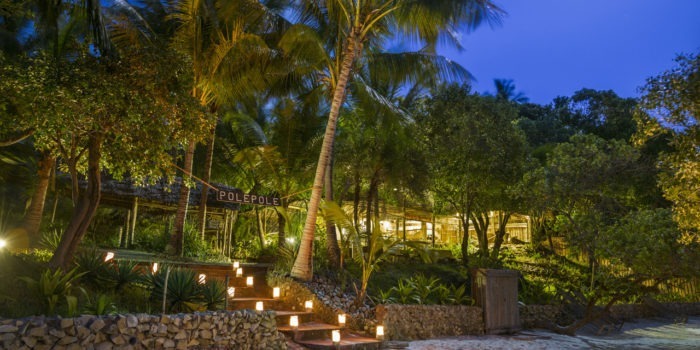 A great way to enjoy the tropical paradise is to walk along the beach and visit other lodges for meals or mid-day cocktails. Some of the best swimming is in the north of the island where the access isn’t as restricted by tides as on the eastern coastline. The greatest part about Zanzibar is there are plenty of activities to keep one busy but it’s also the perfect location to do absolutely nothing but relax before or after a safari! Although Zanzibar is fantastic, it has become a very popular destination and may not be for everyone. 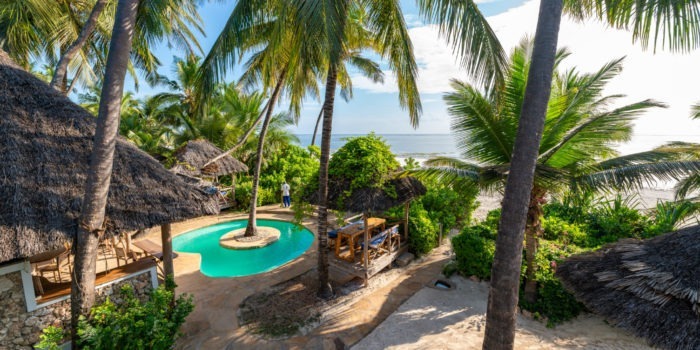 This is where Mafia truly shines as it remains virtually unknown and is the safariFRANK recommendation for people wanting to experience the tropical beaches of East Africa. A mere 160km south of Zanzibar, Mafia is very safe and there are virtually no hustlers to bother you (unlike on the popular Zanzibar). One of the greatest attractions to Mafia is its marine-based activities. These include some of the best diving on the planet, snorkelling and viewing whale sharks. The island is home to a critically important protected marine park. It is home to some of the most pristine and diverse underwater habitats in the Indian Ocean and underwater exploration here is particularly incredible. The wonderful cultural and historical tours on Zanzibar. Zanzibar’s safe and welcoming atmosphere lends itself to exploring from one beach resort to the next. Mafia Island is lesser known and untouched, perfect for secluded island getaways. The whale shark viewing and interactions on Mafia Island. Some of the best diving in the Indian Ocean at Mafia Island.